In just minutes, you can transform Word 2010 and other Office apps from general-purpose tools to custom software with exactly the features and functions you need. Microsoft Word 2010, and all the Office 2010 and Office 2007 mainline applications, share a common interface that’s amazingly configurable, once you know the tricks. That’s a good and necessary thing, because Word has come a long way since its launch in 1983 as “Multi-Tool Word” for Xenix and DOS. First as a standalone product and later as part of the Microsoft Office offerings, Word piled feature upon feature through a dozen major version releases. By the time the 2003 version shipped, Word offered an incredible 1,070 separate commands and functions. It had become an enormously powerful tool, but it also had a complex menu structure that ran many layers deep. Most users understood Word only superficially and used only a fraction of its power. So, for the 2007 release of Word (and Office as a whole), Microsoft rethought the way features and functions were displayed. Eventually, they developed an elegant idea with a clumsy name: the Microsoft Office Fluent user interface. Instead of a traditional menu and toolbar, the Microsoft Office Fluent UI uses a complementary pair of aids: a tabbed Ribbon (see Figure 1) and a Quick Access Toolbar, or QAT (see Figure 2). Figure 1. The Ribbon is context-sensitive: the idea is that you’ll see only the features and functions that are most useful to the immediate task. In Word’s Home tab, for example (shown), the Ribbon displays just the features and functions related to basic text creation. Figure 2. In its default state, the Quick Access Toolbar (QAT) surely isn’t much to look at, but it’s the key to customizing your MS Office apps so that they exactly fit your needs and preferences. The new interface takes some getting used to, but it works. For example, Word 2010 has 1,855 built-in commands and functions. That’s almost twice the number in Word 2003! But the new Ribbon and Quick Access Toolbar are able to hide most of this new complexity. Note: All mainline MS Office apps now use the Ribbon and Quick Access Toolbar. For the rest of this article, I focus mostly on Word, but the same ideas and techniques can be extended to any of the Microsoft Office 2007 and 2010 apps. The free online versions of Word, Excel, PowerPoint, and OneNote that are available through Microsoft’s SkyDrive site also use the Ribbon but lack the QAT. The Ribbon and the QAT complement each other: the Ribbon provides a consistent and unchanging array of task-specific options; the QAT’s content, on the other hand, is almost infinitely (and easily!) configurable. “The Ribbon is designed to help you quickly find the commands that you need to complete a task. Commands are organized in logical groups, which are collected together under tabs. Each tab relates to a type of activity, such as writing or laying out a page. To reduce distraction, some tabs are shown only when you need them. For example, the Picture Tools tab is shown only when a picture is selected” (source page). The Quick Access Toolbar lets you add, remove, and reorder icons that represent the commands you use most often. By loading the QAT with the commands you prefer, you make the Word toolbar layout and content exactly what you need. Let’s say you routinely spell-check your documents when you’re finished writing. Normally, each time you want to run the spell-checker, you have to click to the Review tab, then click on the Spelling & Grammar icon, and then (when the spell-check is finished) click back to Home or some other tab. Figure 3. You can add virtually any Ribbon item to the Quick Access Toolbar. Start by right-clicking the Ribbon item you want. A small Spelling & Grammar icon appears in the Quick Access Toolbar, and you’re done with that operation. (See Figure 4.) Now you have one-click access to the Spelling & Grammar function, no matter which Tab is open or what the Ribbon is showing. Much better! Figure 4. Items on the Quick Access Toolbar (such as the newly added Spelling & Grammar item) are always accessible. You can add almost any command or function displayed on any Ribbon in any Tab by using the same, simple, right-click process. Right-click any QAT icon that you wish to delete, and select Remove from Quick Access Toolbar. (See Figure 5.) Yes, it’s that simple. Figure 5. You can remove any item from the Quick Access Toolbar via the right-click menu. 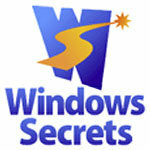 Windows Secrets fred langa, general purpose tools, Microsoft, microsoft office fluent, microsoft office fluent user interface, PC Pitstop, QAT, Ribbon, tab, way, windows secrets. permalink. Not your fault, but…the “Ribbon” still doesn’t “work”! I’ve been using MS-Office for 20 years and nearly every improvment has increased quality, productivity, innovation, etc. I’ve been working with the “Ribbon” and Quick Access Toolbar for over a year; first with Office 2007 and most recently in Office 2010. TRUE Customization options would really take the Ribbon to a place where it could truly be useful. I don’t use the Ribbon, instead I put everything on the QAT or just use the hotkeys. It still takes more navigation and “clicks” to invoke a feature using the Ribbon than the old menu and toolbar interface on Office 2003. And it takes an inordinate amount of time to locate features because the layout is NOT intuitive. I only stumbled across your article because I need to customize some icons in the Ribbon and QAT and the only information that I’ve found requires XML coding or purchase of 3rd party applications to do this. I have a number of “tools” on the QAT that are just green circle because Microsoft didn’t take the time to build a custom icon for the tool; like “Auto-size Columns” in Excel. Fine if Microsoft doesn’t want to spend the time and money, but they could’ve at least allowed users the ability to assign their own icons from a Microsoft icon library or a user-defined library. And macro icons are limited to the Microsoft icons in Office which totally don’t work for the macros that I’ve created for daily use. I’m extremely profficient with Office apps and many people call on me for support in these apps. They don’t even begin to have a clue about what anything in the Ribbon is and the Ribbon does not lend to providing a more intuitive interface for the beginner or novice. In addition, it is MORE DIFFICULT trying to assist someone over the phone when trying to communicate where to navigate on the ribbon for the feature they are looking for. Think about that for a moment….telling them how to navigate the menu bar in older versions of Office was very direct and didn’t require interpretation. I “get” that the ribbon is not going away, but I don’t understand why Microsoft didn’t allow a more user definable interface. Office 2010 just addressed some minor customization issues from the 2007 version, but they can hardly be called enhancements.